Mexico City is an ideal destination for travelers on a budget. There are excellent options for budget accommodation, delicious economical food is plentiful, and there is lots to see and do without even spending a peso. On this page you'll find a list of the best things to do for free on your visit to Mexico City. A good place to begin any visit to Mexico City is the historical center, el centro historico. Here you can stroll through the Zocalo (the main square), gaze at the Templo Mayor, the main Aztec temple, and appreciate the beautiful architecture from Mexico's colonial period. This walking tour of Mexico City will lead you through the main sights to see in this area. There are a multitude of churches to visit in Mexico City and many have impressive colonial period art and architecture. Two churches that you shouldn't miss are the world's second most visited church, the Basilica de Guadalupe, and the oldest cathedral in the Americas, the Catedral Metropolitana. Mexico City may be known for its crowds, buildings and traffic, but it also has many pleasant green areas to explore. Parque Mexico in the Condesa neighborhood (Chilpancingo metro station), has well-maintained paths, plentiful vegetation and art-deco benches and decorations. You can even enjoy a free tango class in Parque Mexico on Sundays starting at 5 pm. Chapultepec Park (Chapultepec or Auditorio metro station) is another popular park that is well worth a visit. It offers green spaces and natural areas as well as a lake with paddle-boats for rent, museums and amusement parks. One of the main attractions at Chapultepec Park is the zoo, which is home to 252 species of animals, 130 of which are native to Mexico. The zoo is open Tuesday to Sunday from 9 am to 4:30 pm, closed on Mondays. This zoo contains seven different biome areas and nearly 250 species of animals from Mexico and around the world. Admission to the zoo is free. There's no better place to appreciate Mexican muralism than in Mexico City. Begin with Diego Rivera's "The Epic of the Mexican People" in the National Palace, then move on to the Secretary of Public Education at Republica de Argentina #28, where there are over 200 Rivera murals. There are four Jose Clemente Orozco murals in the Supreme Court building at Pino Suarez #2, on the second floor, as well as murals by George Biddle, and Hector Cruz García. Rivera's "The History of Theater" is on the facade of the Insurgentes theater on Insurgentes Sur #1587. The Universidad metro station has a mural by Arturo Garcia Bustos, and Jesus Nazareno church located at Pino Suarez #34 contains a fresco by Jose Clemente Orozco. 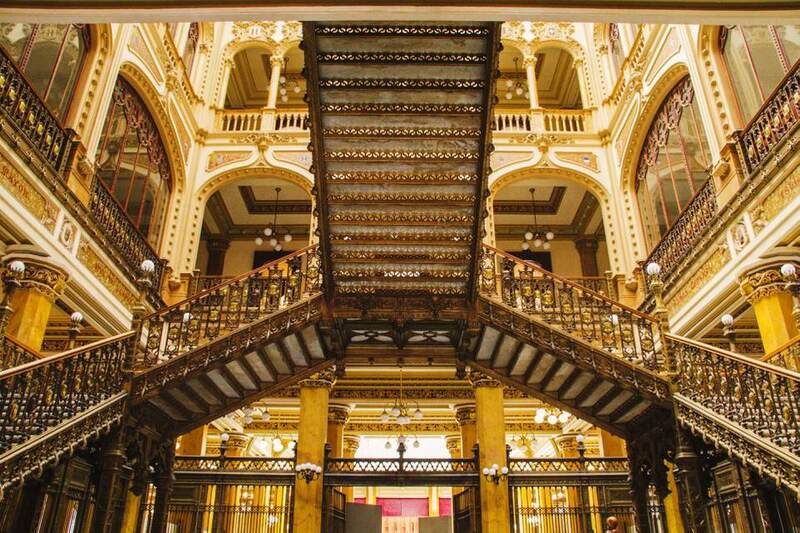 Mexico City has many huge and fascinating markets that you could spend days exploring. You don't have to buy anything to enjoy these markets. The Mercado de la Ciudadela (Balderas metro station) has a wide variety of crafts from all over the country. On Saturdays head to the Bazar Sabado in San Angel to see high quality handicrafts for sale. The more adventurous may like to check out the sprawling Mercado La Lagunilla (Lagunilla metro station), where anything from clothes to electronics to antiques are sold - Sunday is the best day. For produce and other food products, check out the Mercado de la Merced, or the adjoining Sonora market for creepy santeria and witchcraft paraphernalia. Remember to leave your valuables behind when exploring Mexico City's markets - and take sensible safety precautions. One of Mexico's UNESCO world heritage sites, the campus of Mexico's National Autonomous University (UNAM) is well worth a visit and has plenty for visitors to see and do. See the mosaic mural by Juan O'Gorman on the university library building and the mural by David Alfaro Siqueiros on the Rectoria building, then explore the campus. Don't miss the espacio escultorico (sculptural space), or the botanical garden. You will most certainly come across public performances during your explorations of Mexico City. Aztec dancers in costume perform traditional ceremonies and dances in the Zocalo or nearby. The Voladores perform several times a day outside the National Museum of Anthropology. In the evening, you can head to Plaza Garibaldi (Garibaldi metro station) to hear the Mariachi play (hiring them to sing for you specifically is pricey, but you can listen to them play for others for free). An archaeological site, a colonial-period church and modern-era apartment buildings converge on this site, representing the three different cultures which have occupied Mexico City. This is also the site where one of Mexico's modern tragedies took place - on October 2nd, 1968, Mexican army and police massacred some 300 students who had gathered here to protest the repressive government of president Diaz Ordaz. Museo Soumaya was created by Mexican business tycoon Carlos Slim, and contains a varied private art collection. There are two locations, and both offer free admission every day of the week. Museo de la Charreria at Isabel la Catolica #108 offers free admission to its exhibits relating to the charro tradition, including costumes and items used by Pancho Villa. The Museo Palacio Cultural Banamex at Madero #17 (2nd floor), has a rich collection of art, including paintings by Diego Rivera, José Clemente Orozco, Dr. Atl, Frida Kahlo and Joaquín Clausell, as well as a large collection of photographs by Manuel Alvarez Bravo. You can take advantage of one free day during the week offered at some Mexico City museums, for example, the Museo Dolores Olmedo offers free admission on Tuesdays and the Museo Nacional de Arte is free on Sundays. There is also a Noche de Museos "Museum Night" in Mexico City which is usually held on the last Wednesday of each month. Several museums offer free admission on that evening (from 6 pm on) and host special activities.